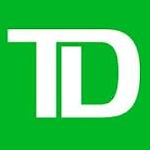 You are reviewing my TD Ameritrade account (taxable). I have no short stock positions in TD account. This chart tracks my account value month-to-month. It is not adjusted, so it includes contributions, dividends, premiums and capital gains of the account. This chart is adjusted and exludes contributions to the account, so it only shows balance, gains, dividends, and premiums and compares it with S&P 500 index. Hey Frank, thanks for stopping by. I am not sure if I want to be selling calls against my dividend stock positions, but eventually I might do it. So, yes I will be increasing my holdings into larger, but do not have enough cash to do it all at once. This will take time. As far as credit spreads, I wasn’t much successful with them. It was costly to repair them or hard to manipulate them. Put selling strategy sounds easier to me although there may be times when even put selling can be difficult to handle. Thanks again for stopping by and commenting!